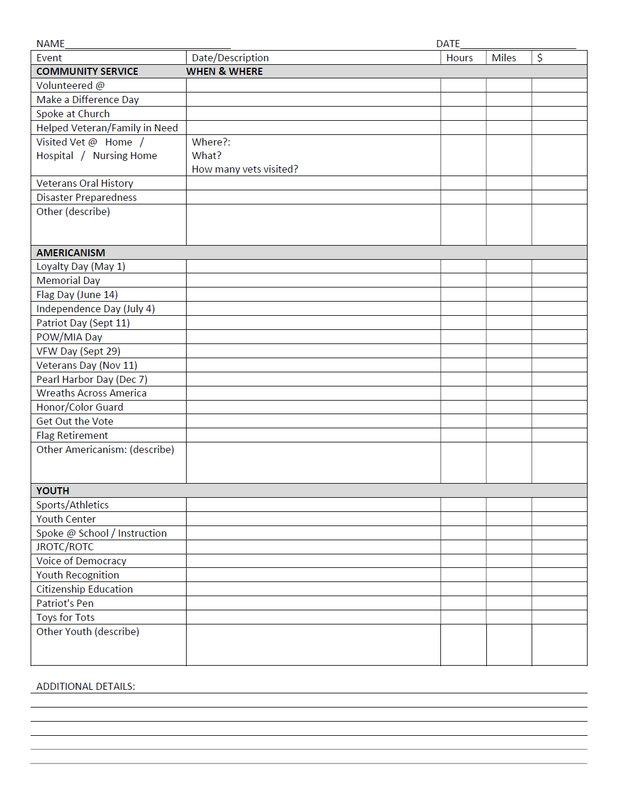 Use this form when a group of members are all participating in an activity. When used, individual activity sheets not needed. 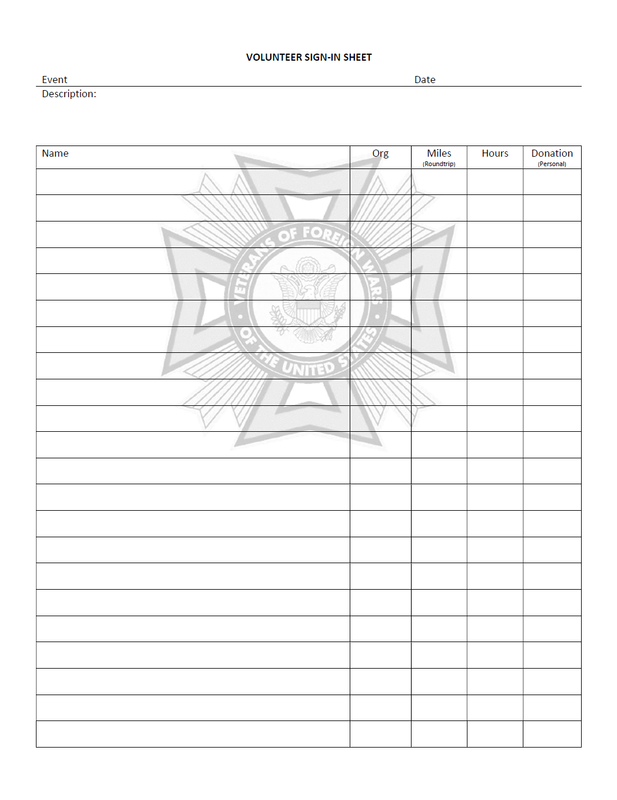 Use this if you are representing the VFW in a community activity, visiting another veteran at the hospital or in their home. 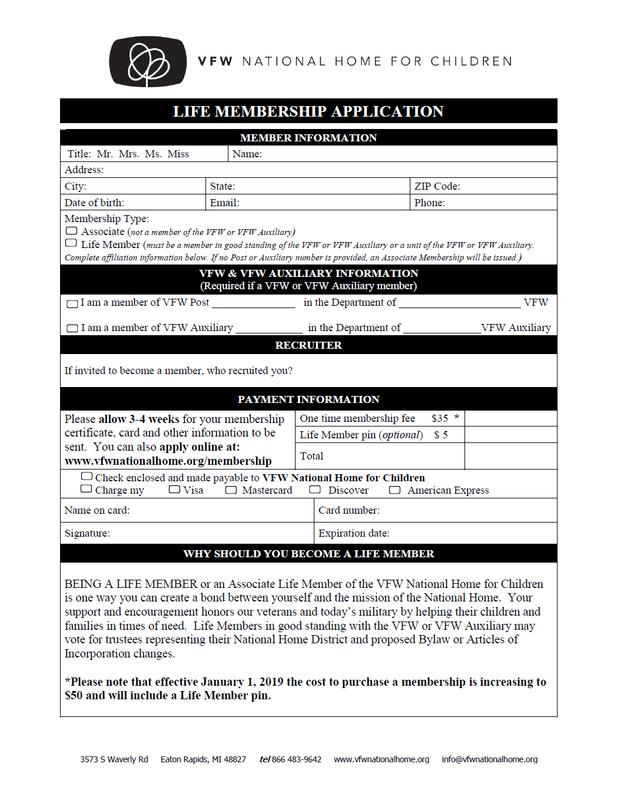 Fill it out and bring it, along with your proof of eligibility to the Coweta Veterans Club. Make sure to sign. 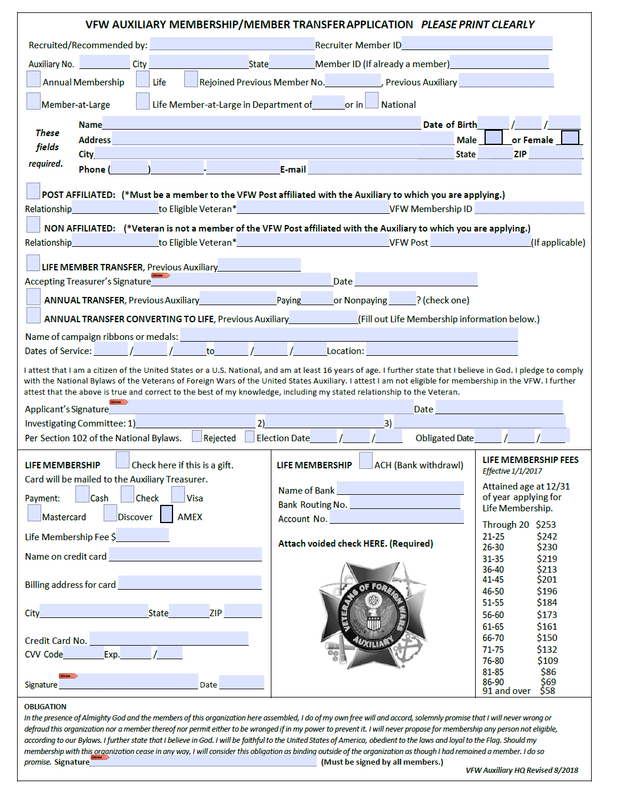 Fill out this form and bring it, along with your relative's proof of eligibility to the Coweta Veterans Club. 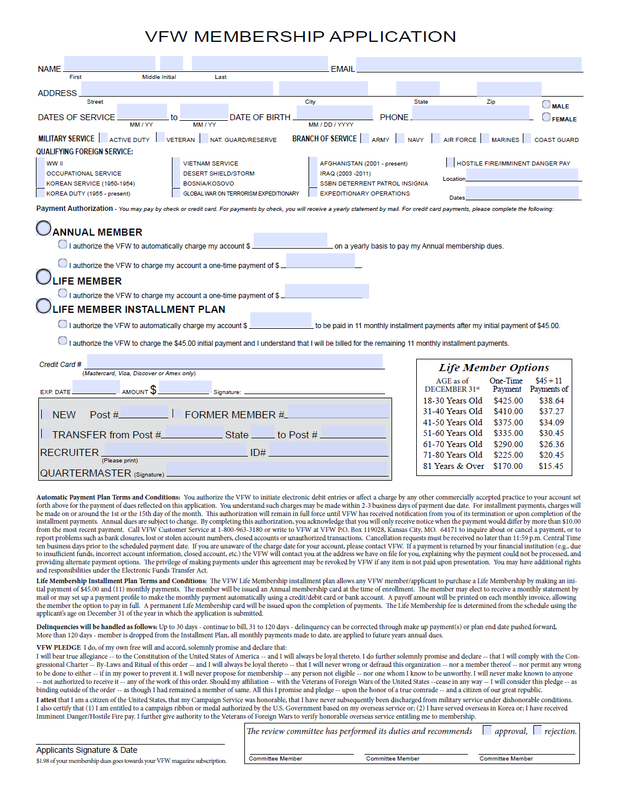 Make sure to sign.